1898 built as the ROTOITI for Union S.S. Company of N.Z. 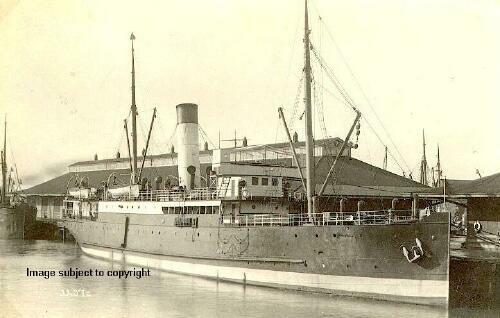 Ltd..
1912 sold to Northern Steam Ship Company and renamed MANAIA. 1926 June 10th, wrecked Slipper Island, Bay of Plenty, without loss of life. There is a 1.4m long builder's half-model of the MANAIA in the New Zealand National Maritime Museum in Auckland. The Museum also has the ship's wheel from the MANAIA on display.